When you are busy it can be hard to stop and enjoy the present moment. Quite honestly, this week has been incredibly busy, so much so that I haven’t had the time I usually dedicate to a project I love to do – writing a blog post every week for all of you. It can be really frustrating to think about how I haven’t finished this one important task and how that might set me back from reaching my goals. Even though I was busy and didn’t have a chance to get done what I usually would, there is so much for me to be grateful for and proud of myself in this moment. I ran twice this week without pain in my foot after an injury the other week. I received my business certificate for my speaking business and opened up a business bank account, which is something I am so incredibly proud of and I am excited for this new journey. I have successfully continued to pull together my hometown’s first Mental Health Awareness Event, which is an experience that has been so remarkable. I have made new connections. I spoke to 3 groups of high school girls about mental health and helped to spark important conversations. I was able to spend time with my best friend and my Godson. I laughed. I spent time with my boyfriend and family. I also even had a mental breakdown from the stress of juggling basically 3 full time jobs, but I was proud of myself for talking about it and making a good decision for myself. And all of these things only scratch the surface of the amazing things that happened this week. But too often we do not acknowledge all of the great things happening in our lives, when there is something bad happening. But I have to remind myself that I did so much in these past 7 days. And so did you. You woke up today. You are reading this blog post. Maybe you cried or maybe you laughed. Maybe you talked with a trusted friend about your struggles. Maybe you did something that was significant towards reaching your larger goal. Maybe you were positive and patient with yourself. Maybe you took a risk and challenged yourself. No matter what you did, even if you missed an opportunity or made a mistake, you still did so many amazing things that are worth celebrating because you are worth celebrating. In this present moment, instead of focusing on what you didn’t do, focus on what you did do. Shift your mindset and be proud of yourself for all that you do and all that you are doing that you once thought you wouldn’t be able to. Although I am not writing my blog post until the last minute, which for me is a source of anxiety, I am proud of myself because I did so many amazing things this week and writing blogs is an activity I never thought I would be doing. I never thought I would be sharing my story to help others, and I definitely never thought I would be sharing my story to help myself. So cheers to this last minute blog post, that helped to remind me that it’s okay for things to go off plan and to not be perfect. That is what makes life messy and beautiful all at the same time. I was never far from my goal at all. 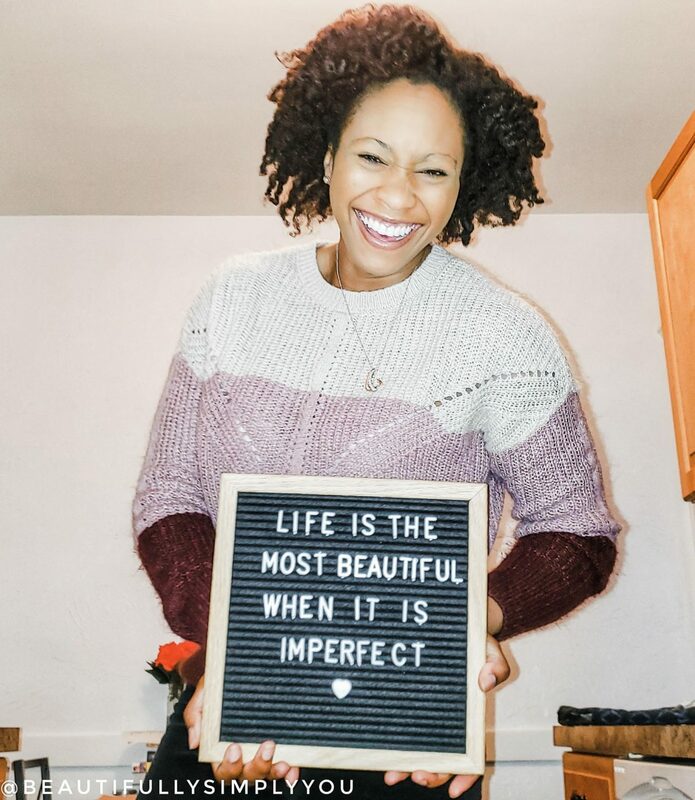 This imperfect blog about my imperfection plan in life is what I was supposed to write about for this week’s blog post all along. My phone was just waiting for me to write it, to find the right time to be patient and proud of myself and just let the words flow naturally. I am thankful in this present moment that I can be proud of me and that I can cherish those around me and the memories I am making. No matter what you didn’t get to today, pause and be present and thankful for all that you have done to this point and use that as motivation to get closer to your goals. Be thankful for all that you have but also be thankful for you. You are a masterpiece and you are doing the best you can and for that I am so incredibly proud of you. What a beautiful journey this is. What an amazing time to reach our goals. What an amazing time to pause and just be. If you read this, thank you so much. Your support keeps me going and helps to remind me that I am now doing something I once thought impossible, I am living an incredibly beautiful life pursuing my dreams and helping others. I am so proud of you for all you have done on your unique journey. Keep going. The story will continue to write itself if you keep going. Cheers to this imperfect yet beautiful journey we are on together!